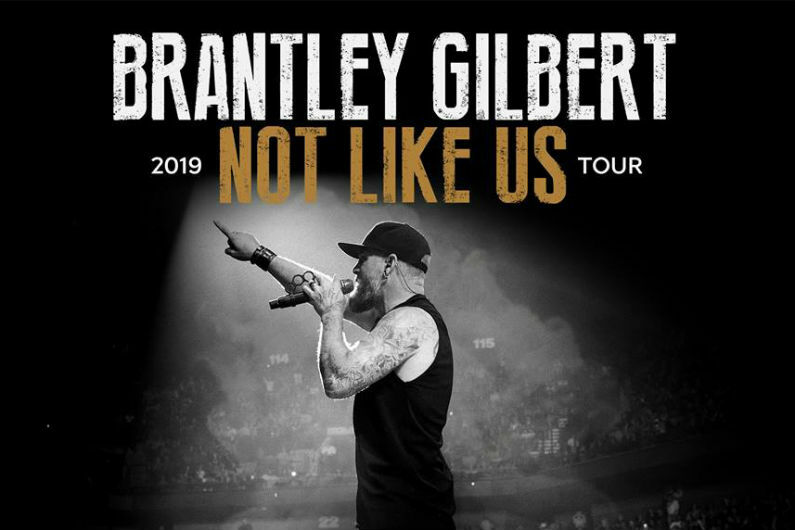 Brantley Gilbert has announced 2019 tour dates that are being billed as Not Like Us, also the name of his recently released song. I'm trying to open things up, but keep bringing the intensity... I think Michael really gets how guys feel, and rolls into a sound that's all his own, and Lindsay, man, the only thing better than the way she sings is the way she plays that guitar! I am really fired up to bringing both these folks out on the road this fall because I know they're gonna give the BG Nation something that's gonna lift'em up, throw'em down, and make them glad they got there early. When do Brantley Gilbert 2019 tour tickets go on sale? Tickets for his previously announced shows are now on sale. For the new dates, the general public on-sale begins as early as April 19 at 10 am local time. Presales for fan club and VIP packages will begin on April 16. Citi cardmember, Live Nation, LN Mobile App, and local venues / radio presales will follow. The fan club presale password is NOTLIKEUS2019. You can also try HAZEVILLE420. For the Citi presale, you can use the promo passcode 412800, but you will need a Citi card to complete your purchase. The Live Nation / Ticketmaster presale password is VIBES and the LN Mobile App code is COVERT. Keep in mind, each date is different and details are subject to change. Click through the individual concert links for more information about the show you're interested in. 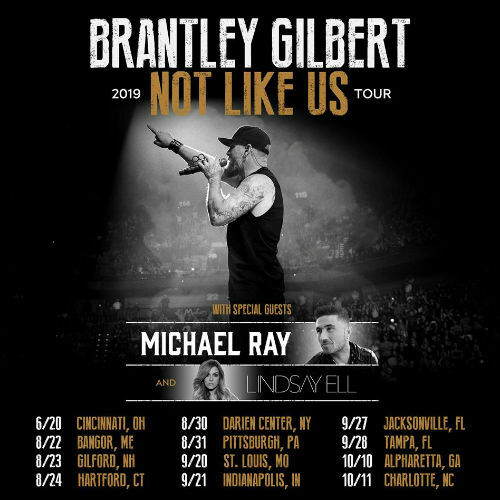 We recommend following Brantley Gilbert on social media, in addition to checking your local venue’s social media and email subscription service, to get the most up-to-date information. For more, check out Brantley Gilbert's Zumic artist page.